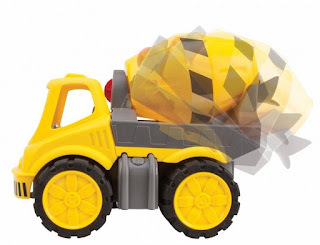 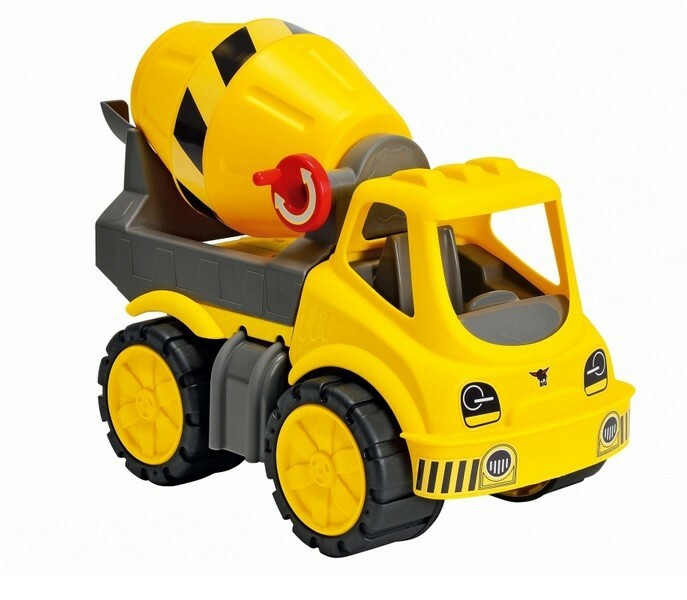 Little workers get quickly new morter with the BIG Power Worker cement mixer. 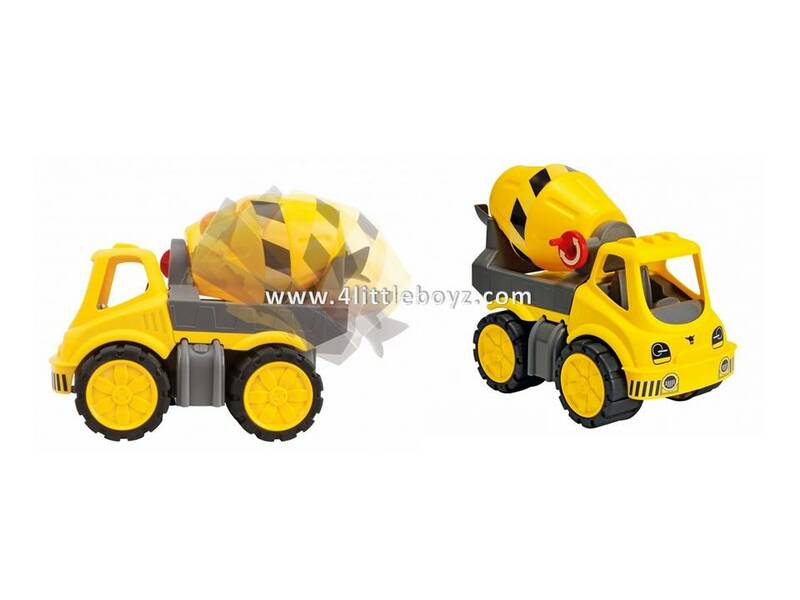 The sturdy truck has a large rotating and tiltable pug mill and offers realistic play fun. 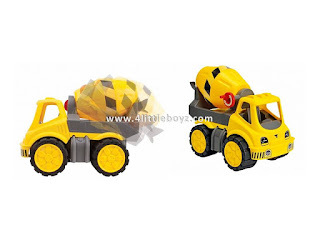 The mill could be easily rotated by the red turning button.